Ake wanted back at Chelsea? Premier League giants Chelsea are reportedly considering the prospect of triggering the £40m buy-back clause available in the contract of Bournemouth defender Nathan Ake. The Netherlands international was offloaded from the Blues' ranks in the summer of 2017 after he struggled to garner regular gametime under then-boss Antonio Conte. 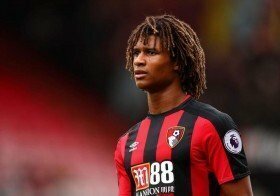 Ake has since emerged as one of the Premier League's consistent performers and The Sun reports that the Blues are considering the option of activating the buy-back clause attached to his Cherries deal. The Dutchman was sold to the South Coast outfit for a £20m fee 18 months but the Blues would now have to pay double the valuation in order to re-acquire his services. Ake has shown the versatility of playing in both the central defensive and right-back positions and he could potentially replace Gary Cahill in the ranks this month. Cahill currently has six months remaining on his existing deal with the Blues and reports indicate that he could leave the club on a cut-price deal before the end of January.